Step out for your morning walk in Saucony ProGrid Intensity ST 2. 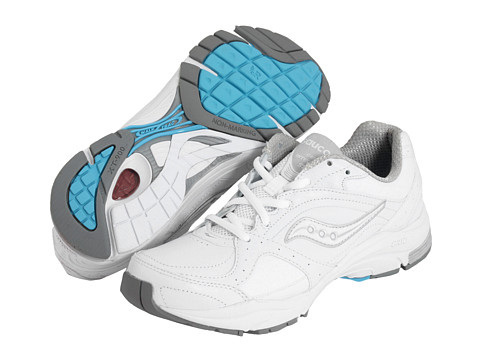 This sneaker comes in women's narrow, medium, wide and extra wide widths. A shoe designed for the neutral walker who requires responsive cushioning. Full-grain leather upper designed with forefoot Stretch Zone for comfortable wear. Roomy forefoot for enhanced fit. Premium sockliner offers great step in feel.